Today at Mobile World Congress, Formula 1 announced their new over-the-top (OTT) Grand Prix subscription service, F1 TV. The service will cost between $8-12 per month depending on your subscription level and will provide fans of the racing series ad-free streaming of all event sessions. One of the key Pro features of the service will be the ability for subscribers to select the on-board cameras they want to watch during a race. If they want to watch the head-to-head battle between Mercedes’ Valtteri Bottas and Ferrari’s Kimi Raikkonen, they can do so while others watch Williams’ Lance Stroll battle McLaren’s Fernando Alonso. Not only will subscribers to F1 TV be able to watch the Grand Prix itself, they will be able to watch all of the practice and qualifying sessions, press conferences as well as supporting series of Formula 2 and GP3. Initially the service will launch in over a dozen markets in four languages including here in the United States. At launch, which will happen for the Australian Grand Prix in Melbourne, streaming will be available via desktop web viewing but it will be coming to Android, iOS and smart TVs shortly thereafter. 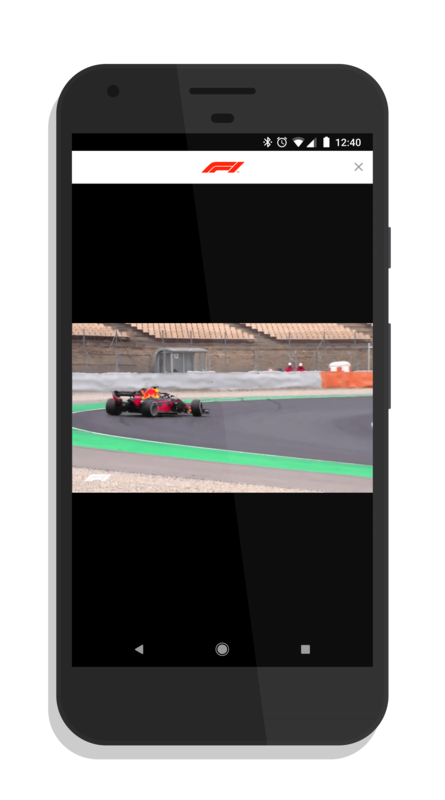 A key question is if the existing Formula 1 app will be updated with the new service or if it will be an entirely separate app. That was not clear in the announcement today but existing F1 Access subscribers will continue to have their live race commentary and telemetry – just no streaming video. For F1 fans in the United States, the 2018 season will be a lot of changes as far as coverage. ESPN has picked up covering the sport and will be broadcasting all sessions each race weekend – FP1, FP2, FP3, Qualifying and the Grand Prix. They will be using the international broadcast commentators which is the Sky F1 commentating team from the UK. It is believe that this OTT service is one of the key reasons NBC did not renew their contract to cover F1 going forward.